Have you bought a new iPhone recently? Sending videos from your Android device to a new iPhone is somehow time-consuming. However, if you can find the correct method to transfer videos, you will save a lot of time. So how to send video from Android to iPhone? Don’t worry. In this article, we will list 3 useful ways to send videos from Android like Samsung Galaxy, HTC, ZTE, LG, Sony, HUAWEI, Motorola, Lenovo, Nokia, Xiaomi to iPhone X/10/8/8 Plus/7/6s/6/5s. how to upload photos from iPhone to PC. Move to iOS is a very useful App which is designed for Android device users to send all kinds of data like videos from Android phone to iPhone X/8/8 Plus/7/6s/6/5s. The users don’t need to save the data elsewhere before switching from Android. The Move to iOS app can securely transfer content without losing data. Step 1. When you are setting up your new iPhone X/8/8 Plus, look for the “Apps & Data” screen and select “Move Data from Android”. If you have already finished the setup process before, you have to erase your iOS device and perform factory reset from “Settings”. Or you can only transfer your videos manually. Step 2. Download the Move to iOS app from Google Play store on your Android device and open it. Then, you need to tap “Continue” and “Agree” in your Android phone, and tap “Next” in the top-right corner of the “Find Your Code” screen. Step 3. Choose “Continue” on the “Move from Android” screen on your new iPhone device, you will see the 10-digit code. Enter this code on your Android phone and then your Android phone will connect your new iPhone X. Step 4. On your Android device, you need to select data like “Camera Roll” you want to send from Android to iPhone on “Transfer Data” screen and click “Next” to transfer it. Then it will begin transferring the videos. The whole transfer can take a while, depending on how much content you're moving. This is the practical and easy method about how to transfer videos from Android to iPhone with Move to iOS. What’s more, you can also get videos from Android to iPhone with iTunes. It will be more complicated to move videos with iTunes.Here I will show you the steps about how to sync videos from Android to iPhone 8 using iTunes. Step 1. Install the iTunes on your computer. Step 2. Connect your Android phone to computer and copy videos you want to transfer to your computer. Step 3. Connect your new iPhone to computer and open iTunes. Step 4. Choose “Movies” or “TV Shows” and click “Sync Movies” or “Sync TV Shows”, then click “Apply”. So you can sync videos from iTunes to your new iPhone X/8/8 plus. Generally speaking, iTunes is kind of complicated to import videos from Android to iPhone. Furthermore, it can erase the original data on iPhone. In order to send videos more easily and safely, we would like to introduce the third method to you. Are you still confused with Android to iPhone video transfer? Here I want to introduce my favorite method about how to send large videos from Android to iPhone with Tenorshare iCareFone . 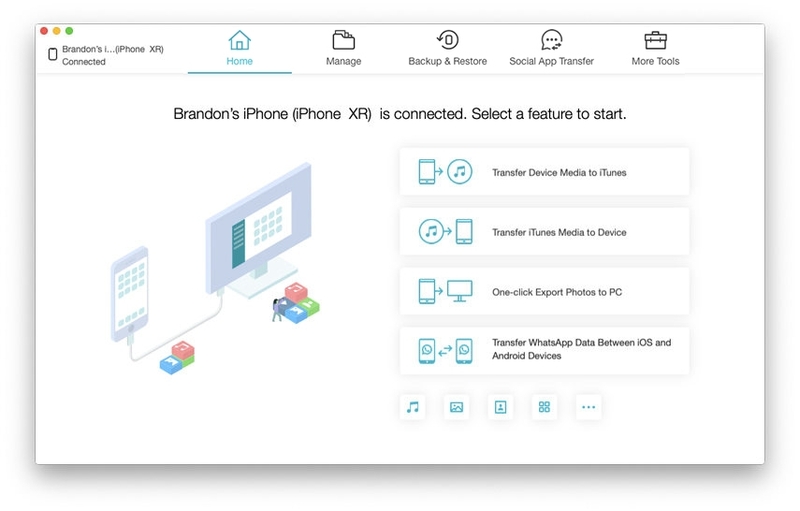 Tenorshare iCareFone is an excellent app which is more easier, faster and safer to transfer videos from Android to iPhone without losing data. And it is also a 6-in-1 tool to fix iOS problems and cover all your needs for iOS system care. Step 1. Connect your Android phone to your computer, copy the videos that you want to transfer to your computer. Step 2. Install iCareFone on your computer. Step 3. Open the Tenorshare iCareFone on your computer, select the “File Manager” and choose “Videos”. Step 4. Click “Import”. You can select the videos on your computer to transfer to your new iPhone. 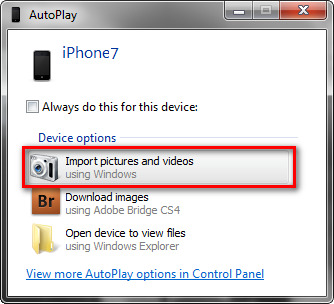 This is a much better method about transferring videos from Android to iPhone. In conclusion, Move to iOS, iTunes and Tenorshare iCareFone are three effective app to send videos from Android to iPhone. And we highly recommend Tenorshare iCareFone as the best way to transfer videos from Android to iPhone. Don't hesitate to have a try. If you find this article helpful, do share and comment below!